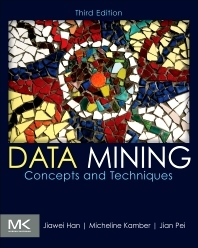 1.2 What Is Data Mining? 1.3 What Kinds of Data Can Be Mined? 1.4 What Kinds of Patterns Can Be Mined? 1.5 Which Technologies Are Used? 1.6 Which Kinds of Applications Are Targeted? Jian Pei is currently a Canada Research Chair (Tier 1) in Big Data Science and a Professor in the School of Computing Science at Simon Fraser University. He is also an associate member of the Department of Statistics and Actuarial Science. He is a well-known leading researcher in the general areas of data science, big data, data mining, and database systems. His expertise is on developing effective and efficient data analysis techniques for novel data intensive applications. He is recognized as a Fellow of the Association of Computing Machinery (ACM) for his “contributions to the foundation, methodology and applications of data mining” and as a Fellow of the Institute of Electrical and Electronics Engineers (IEEE) for his “contributions to data mining and knowledge discovery”. He is the editor-in-chief of the IEEE Transactions of Knowledge and Data Engineering (TKDE), a director of the Special Interest Group on Knowledge Discovery in Data (SIGKDD) of the Association for Computing Machinery (ACM), and a general co-chair or program committee co-chair of many premier conferences.